One of the primary reasons to learn the different types of martial arts styles is to protect yourself from harm. 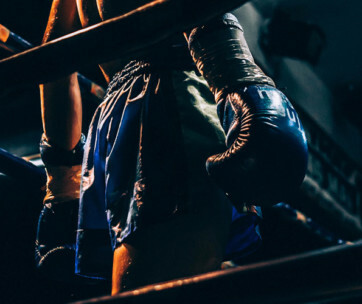 The only self-defense mechanism that will always be available to you is your own body and taking up this specialist sport is a sure way to turn your body into a pile of unbreakable bricks. Martial art is a combat technique which involves some form of punching, kicking, throwing and use of weapons. Over time, it has evolved by combining different types of fighting styles to give a more adaptable form of fighting known as Mixed Martial Art (MMA). 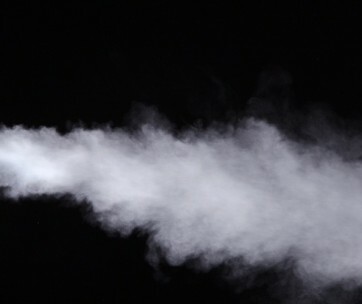 Though there are a plethora of techniques out there, they all boost the strength, reflexes, and balance the human body requires whilst making it easier to defend against intentional harm. Whether you want to up your self defense game, or if you are simply looking to get fit, this article will detail the different types of martial art style for self-defense to watch out for. Dating back to the 1400s, this is one of the oldest martial art styles that was originally used by Japanese samurai to defend themselves when weapons were not readily available. Jujitsu is very effective in self-defense as it focuses on using the attacker’s aggression and speed against them. The significant moves involved in the sport are throws and joint locks which consist of applying crushing pressure to a joint such as the knee. It is closely related to wrestling, and it involves getting your attacker into a position where you can grapple them and apply choke holds and joint locks. As Jujitsu was developed for disarmed Japanese fighters, it is beneficial for self-defense. Also known as the “Art of the Eight Limbs,” this martial art style originated in the 16th century, and it became famous for its combination of hands, feet, elbows, and knees to launch attacks and defend oneself. The blend of boxing and kickboxing has made this style very effective as different parts of the body are converted to weapons. In terms of self-defense, this technique incorporates jabs, hooks, elbow strikes and straight kicks which can be used on an attacker to make a quick escape. Muay Thai is useful for self-defense as most of the moves are entirely offensive and can be deadly to attackers. This martial art style originated in Israel and was created by a Jewish wrestler who had to protect his family and friends from oppressors. Translated as “Contact Combat,” it is designed to detect and neutralize threats by focusing on hand-to-hand combat with wrestling, grappling and hand strikes. It encourages the use of virtually any available ordinary object in the environment to launch preemptive strikes to help fend off an attacker. Unlike other martial art styles, Krav Maga’s techniques of defense and attack are interwoven; first as an opportunity to block, in order to pave the way to attack. This style is effective for self-defense as it attacks your assailant’s body vulnerabilities such as eyes, throat, and groin. Developed in the 20th century in Japan, iKarate is also known as “the empty hand style” because of the ban on weapons at that time in Japan. Karate is a martial art style that involves punching, kicking and the use of elbow and knee strikes. It encourages the use of the hands and legs as the principal form of both attack and defense. Also, this particular martial art style focuses on incapacitating attackers and can be used against multiple assailants. Judo was founded by Jigoro Kano in Japan, and his style of martial art has become famous for its technique of throwing an attacker to the ground. This style focuses more on redirecting an attacker’s momentum and disabling them. Emphasis is placed on using minimum effort to achieve maximum efficiency as it is mostly free of striking. Judo is more popular among MMA fighters than any other martial art styles because of its effective grappling techniques. It is also a good self-defense technique against attackers who may want to catch you off guard; a throw to the ground can knock off their momentum and ensure a quick escape. Developed in the 1930s, the principles of this martial art style are deeply influenced by the religious teachings of its founder, which centers on dedication to universal peace and reconciliation. Though, this martial art is about as close as you can get to a peaceful fighting system, it can still be dangerous to attackers. Aikido makes less use of hand strikes and does not involve kicking, but instead, involves the use of joint locks and throws with the body movements imitating that of spear and sword fighting. Translated in English to “the way of harmony of the spirit”, Aikido focuses on the combination of throws and grabs which is demonstrated by redirecting and manipulating the momentum of the attacker. This technique effectively protects one from attacks and also incapacitates attackers with little incidence of injury to both parties. Truly distinct from other martial arts that originated from Asia, Sambo has its origins from the old USSR. The name was gotten from an acronym which translates literally to “self-defense without weapons.” Sambo derives most of its fighting techniques from the combination of Judo and Jujitsu, which focuses on take-down throws, ground grapplings, joint locks, and choke holds. This combination of techniques makes it a devastating martial art style and really efficient for self-defense. 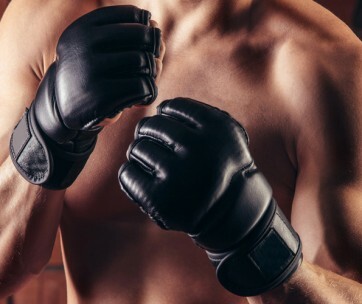 Though different fighting systems have been combined for centuries, the modern concept of mixed martial arts was conceived in the 1920s, and has evolved into a well-known sport and more importantly, an effective form of self-defense. MMA incorporates almost every single martial art style which is to be used selectively as the situation calls for. The technique is based on simply focusing on styles that counter that of an attacker; this will effectively negate an attacker’s style and make self-defense more efficient.